We have been located in the Lower Mainland of British Columbia since 1976. We import beads from many southeast Asian countries including Japan, India and China. You can contact us by phone/fax 778-565-4115 or email info@mydreambeads.com. Please have your business number handy. We accept VISA, Master Card, Paypal payments, money orders, cheques and cash. Please contact us at 778-565-4115 if paying by credit card as we are not set up to take cards on line at this time. Since the inception of our company, Aristocraft Imports, Ltd., we have primarily sold to wholesalers in Canada. Since there have been fewer wholesalers to sell to in the last number of years our policy is to now sell to the retail store. This, perhaps, explains why you may never have heard of us before, even though we have been around for such a long time. It also means that you’ll get the best price anywhere. 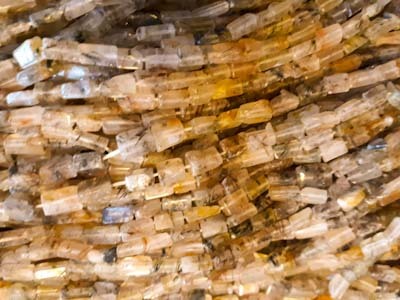 We sell predominantly Grade ‘A’ quality beads and if there are ‘B’ quality we tell you so. Our gemstone products range from stones such as Amazonite, Ambronite, Amethyst, Aventurine, BC Jade, Black Amazonite, Black Rhodanite, Black Stone, Blonde Amber, Bloodstone, Blue Lace Agate, Blue Quartz, Blue Sand Stone, Botswanna Agate, Butter Jade, Cao Song, Carnelian, Chalcedony, Charcoal Jasper, Cherry Quartz, Citrine, Coral (Sea Bamboo), Crystal, Quartz, Dalmation Jasper, Dendritic Jasper, Egyptian Pink Jasper, Elephant Jasper, Fluorite, Garnet, Goldstone, Green Agate, Green Jade, Green Rutilated Quartz, Green Spot Jade, Grey Agate, Hematite, Magnetic Hematite, White Howlite, Howlite dyed blue, Indian Agate (Fancy Jasper), Kambaba Jasper, Korean Jade, Labradorite (Flash Stone), Lapis Lazuli, Leopardskin Jasper, Light Leopardskin Jasper, Mahogany Obsidian, Malachite, Mint Stone, Mocha Jasper, Mookite Jasper, Moss Agate, Multi Agate, Multi Stone, Nephrite (Rutilated), Nevada Lapis, Snowflake Obsidian, Ocean Jasper, Ocean Picture Jasper, Onyx, Opalite (Moonstone), Peridot, Piccasso Stone, Picture Jasper, Pink Leopardskin Jasper, Poppy Jasper, Purple Aventurine, Red Aventurine, Red Jasper, Red Malachite, Red Spot Stone, Red Tiger Eye, Rhodanite, Rose Quartz, Russian Jasper (Lizard Skin Jasper), Serpentine (New Jade), Smoky Quartz, Snow Quartz, Sodalite, South African Agate, Suyi Jade, Tiger Eye, Tree Agate, Turqulenite, Turquoise, Unakite, White Jade (Dyed), Yellow Jasper, Yellow Turquoise, and everything in between. Other products include handmade Indian beads, Kashmiri beads, pearls, jewelery findings, organza bags in many sizes and colors, wood beads, hemp cord, leather cord, rattail, and accessories such as pliers for your manufacturing needs. We are always getting new products in so keep checking back often!